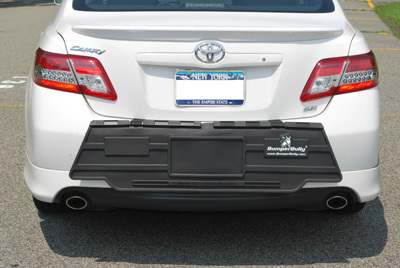 The Bumper Bully black edition rear bumper guard is great for outdoor parking. Bumper Bully is made from an all-weather, durable, soft, elastic rubber that is PVC FREE. PVC Plastic. Does NOT have Steel Reinforced Straps ! (1) White logo and Matte Black - Patented Stabilizer Bars. 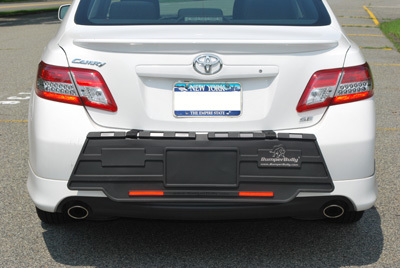 The Bumper Bully is the #1 selling rear bumper guard. The bumper guard is made from a premium soft, elastic rubber material that is both thicker and lighter than competing rear bumper protectors. The Platinum Edition includes all the features of the Gold Edition + Impact Pads (thick soft foam rubber pads on the backside). When it comes time for choosing rear bumper protection don’t choose cheap PVC Plastic imitation bumper guards. (5) Premium grade soft, elastic rubber material “PVC Free"
Click Here for Bumper Bully product features. This durable, rubber pad provides rear bumper protection from paint chips, scratches and other damage to your rear bumper while your car is parked. 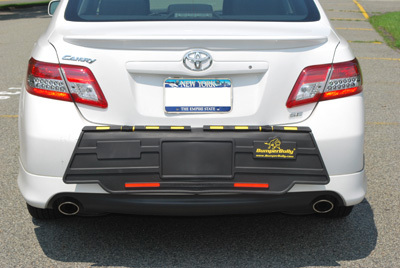 This bumper protector is easy to install and no modification to your vehicle is required. 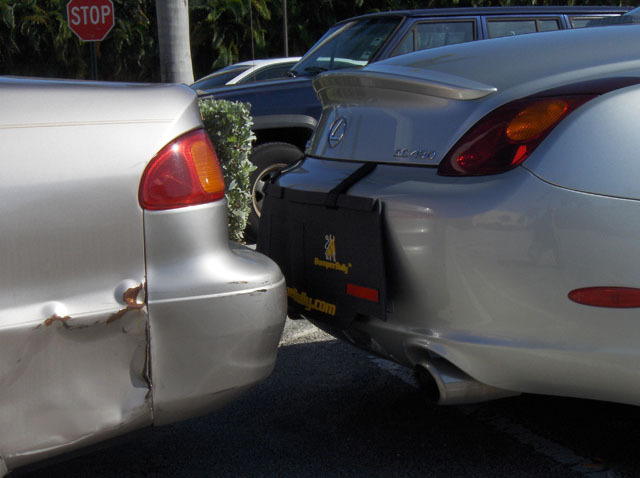 The Bumper Bully attaches to your car with two straps that are secured on the inside of your trunk. Whenever you're parking your car and want to use your Bumper Bully , just flip it outside of your trunk. It's that easy!